But that’s not what I say, because I have to look more put-together than that. “Of course!” somehow tumbles out of my fake smile, and my heart rate skyrockets, and my mind races, and I speak with feigned confidence as I put some words together to make the people around me think that I’m genuinely “talking with God.” But I’m not. I’m simply trying to perform. 1. I don’t think prayer works. And it’s not because God can’t handle it. My thoughts go like this: If God has already planned what will happen, how is my prayer going to change anything? Why would God use my prayer to change his plan? And is that even possible? But then I read things like, “I have heard your prayer . . . behold, I will add fifteen years to your life” (Isa 38:5). What?? That’s crazy! How can God ordain Hezekiah’s life to be a certain length, but then, because of Hezekiah’s prayer, extend his life by fifteen years?! I struggle with prayer because I have a hard time understanding how prayer can change the heart of God. But thanks to Hezekiah and others, I know it can. 2. I don’t think I need to pray. And it’s not because I don’t need God. My thoughts go like this: If God knows what I need, why pray? What good does it do to tell God what he already knows? But prayer changes me, people say. I should pray because it grows my faith, so I’m told. But if I believed something true about you, what good does it do me to tell you? If I already know the truth in my heart, how does my faith grow by expressing it to the God who already knows? Yet my seeming confidence in these things proves my constant need of him. My constant need to talk with him. My constant need for my faith to grow because it will never be fully grown. The fact that I don’t think I need to pray means I need to pray. 3. I don’t know how to pray. And it’s not because I haven’t tried. 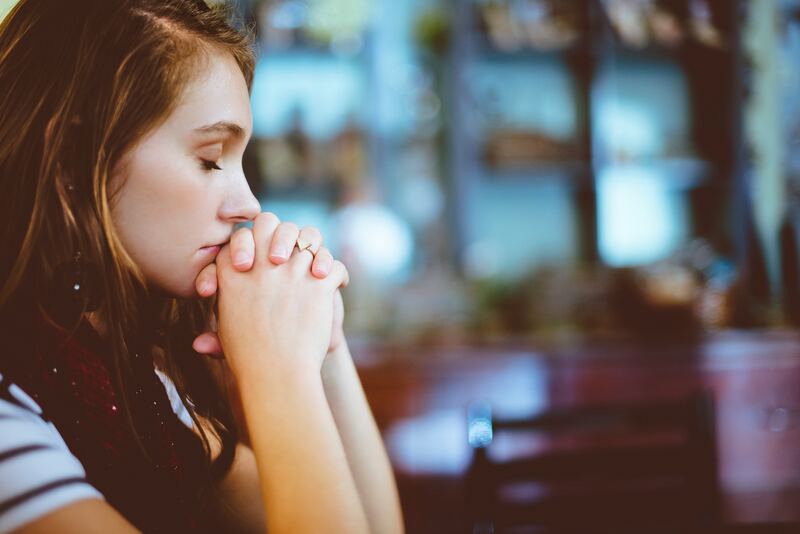 While my private prayers are often sweet, public prayer continues to paralyze me. And while I know the difference is simply the fear of man that resides in me, I simply don’t know how to bring my “commute prayers” into the group setting. And I’m honestly not sure I want that to happen! So I do what I know to do: keep praying. When I don’t understand how prayer works, I must pray. When I don’t think I need to pray, I must pray. And when I don’t know how to pray, I must pray. So I reluctantly welcome the request. Yes, please ask me to pray. Grant me that terribly uncomfortable, holy moment, that I may increase in humility, understanding, boldness, and faith. For in spite of all the palm sweats and heart palpitations, I do want that. the first one esp. can me, a mere mortal of nothingness, really make a difference, or change God’s mind? Another struggle is understanding verses and prayers, such as those in the Psalms, that talk about God rescuing His people, stepping in to save and then when crying out, such as in some of the worst, cruelest, or most heinous and evil of situations, and God chooses to not answer, or chooses not to step in and rescue. Yes! These are such difficult things to understand! Thanks for sharing. I love your honesty here. Public praying is something I struggle with, too.